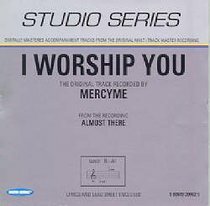 A period of brokenness led to the formation of the worship band, MercyMe in 1994. The band from Greenville, Texas has quickly evolved from being Christian music's fastest-selling new act to one of the most successful bands in all musical genres. Just a bunch of guys who loved music, loved the Lord and wanted be able to support their families playing music for and about Jesus. Several Dove Awards, several albums and over five million + CD and DVD sales later, a lot has changed. But they're still the same people - guys who love what they do and who they do it for.